Typically, the next step is to have a home inspection completed on the property. The home inspection is your opportunity to learn how the home works, to see what is functioning as intended and to determine what repairs, if anything need to be addressed. Your home inspection is not intended to make the home new or even to bring it up to today’s building code. Your inspector may note items that do not fit today’s code but it is important to remember that the building code changes every 5 years and what is necessary in today’s code, was most likely not when your home was built. The inspector might also note some cosmetic items, keep in mind, this inspection is to introduce you to your new home so many of the items pointed out, will simply be for your education. During the home inspection, buyers are welcome to attend in order to review the home with the inspector and ask questions freely about what's being evaluated and how. We recommend showing up to the inspection an hour after the scheduled time so that the inspector can begin working without interruption in order to better address their findings once you arrive. Once the inspection is complete your agent will take the time to go over the summary together with you and answer any questions you may have. At this point, you will discuss if you would like for the sellers to address any of the problems found on the inspection report. This will open up a new period of negotiations and allow both parties to come to an agreement on some sort of repairs. During this time, the seller has the option to agree to the repairs, to negotiate the items they are willing to fix, or to not fix anything. The other option is that sometimes the seller will offer a monetary value in lieu of repairs allowing you to have the items fixed after closing. Again, these are all just options and will vary with each transaction based on what is best for the given situation. 1. If you negotiate that sellers make repairs such as painting and carpet replacement, you as the buyer do not always have a say in color choice, materials or the company hired to do the work. If items like these involve personal preferences, asking for a credit or a reduction in the purchase price to complete the work yourself after closing may be a better option for the situation, allowing you to make the decisions. 2. While you can ask for everything on the inspection report to be addressed, don't be surprised if sellers are not willing to do everything you ask. Again, they aren't required to make any repairs, even though most are willing in order to keep buyers happy. 3. Evaluate your inspection report and put items you're requesting in order based on priority to you. This will help you establish which items you can fix yourself and which items you'd like the seller's assistance with. Sometimes negotiating only the big ticket items can help you if you're willing to make small repairs on your own after closing. 4. Don't be frightened by a long inspection report. 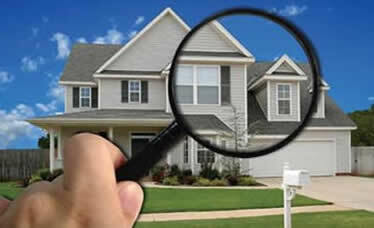 As we said earlier, the home inspection is to help you become better acquainted with your home. Inspectors often include a lot of detailed items on the inspection report to simply make you more familiar, not necessarily to be alarming or needing of immediate repair. Sellers, have you considered having a pre-listing home inspection? Here's how having an inspection BEFORE you list your home for sale could help you! Not only does having an inspection done before listing allow you to become more familiar with the current condition of your home, but it also allows you to avoid surprises by addressing repairs ahead of listing, commanding a higher purchase price once you've completed those repairs, reducing the need for negotiations and improving the confidence of potential buyers when they make an offer on your home! Buyers and Sellers, Here’s to happy findings!